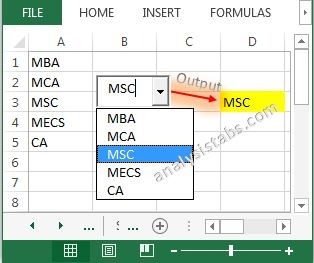 Please find more details about VBA ActiveX Combo Box Control and how we are adding it on the Worksheet. We are using ‘ListFillRange’ Property of Combo Box to add or load items to Combo Box. 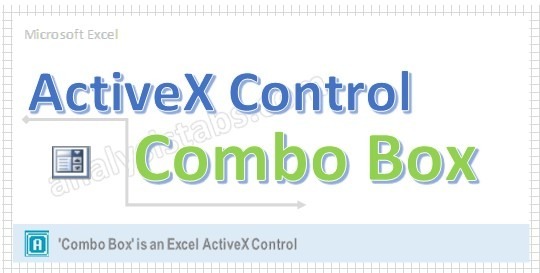 Click on the Combo Box from the Activex Controls group. 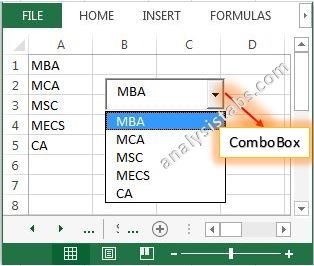 Drag a Combo Box on the Worksheet. Right click on the Combo Box (Design Mode should be turned ON). 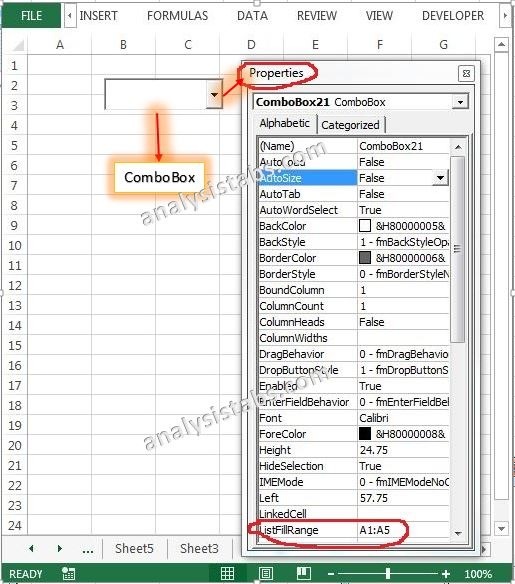 On the left side find ‘ListFillRange’ from the available properties of a Combo Box. On the Worksheet go to range ‘A1:A5’ enter the input data. Automatically you can see the input data loads into the Combo Box. Please find the below screen shot for the same. You can link the Combo Box to a Worksheet cell. Right click on Combo Box and select properties. On the left side find ‘LinkedCell’ from the available properties of a Combo Box . Now, you can see the selected Combo Box item on the worksheet cell (‘E3’) (Design Mode should be turned OFF). I would like to create a VBA procedure that adds an ActiveX combo box in a worksheet, and sets the properties, specifically the ListFillRange, Linkedcell, and Boundcolumn. I would like the placement to be on the row right after the last populated cell on column D.
I understand that I will create a button that runs a procedure which adds a listbox, but I have not been able to change it’s properties.